Starting February 1, Lamorinda high schools and libraries will launch the first annual Teens Read; a program with aspirations far beyond books. 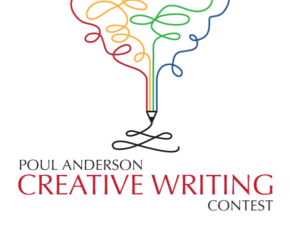 “The purpose of this project is to excite and encourage Lamorinda teens to have important and rich conversations about ideas, sparked by the book, Salt to the Sea. We hope young people will read it and pass it on,” says Sierra Campagna, Senior Community Library Manager, Contra Costa County Library. Making literature accessible and entertaining are also high priorities for the program; no exams and no homework required. As of February 1st, young readers can pick up a free copy of the award-winning book, Salt to the Sea at the following locations: Lafayette Library, Moraga Library, Orinda Library, Acalanes High School, Campolindo High School and Miramonte High School. Free copies of the book will also be available at local Lamorinda shops and coffeehouses while supplies last.Free copies of the books are provided by the three Lamorinda Friends of the Library Groups. Along with the free also comes the fun. “It is always fun to talk to your friends about what you are reading and have them be a part of the conversation. In a sense this Teens Read program will link all the teens in the three different communities together, because they are having this one shared reading experience,” says Campagna.To maximize the fun, each of the participating libraries will host an interactive event that highlights a theme from Salt to the Sea. Teens and readers of all ages are welcomed to attend. Organized by TAG (Teen Advisory Group of the Orinda Library) this scavenger hunt will last all month and take you to various locations within the library. Those who dare to take up the challenge need only to check in at the information desk to get the first clue. One clue will lead to the next in the hunt for the top ten infamous stolen art pieces. Possible prizes could be uncovered along the way. Meet some of the teacher librarians and public library reps that designed the Teens Read program and pick up your free copy of Salt to the Sea. Not only a central plot point in the novel, Salt to the Sea, the Wilhelm Gustloff was an actual German military transport ship that was sunk by a Soviet submarine in 1945. Watch this gripping documentary that delves into the story behind one of the most deadliest disasters in maritime history. Hear from community members as they share their personal stories of fleeing their homelands to take refuge in a foreign country. Learn about lost and recovered art and antiquities stolen by the Nazi regime during World War II in a presentation given by Shir Gal Kochavi, Assistant Curator at UC Berkeley’s The Magnes Collection of Jewish Art and Life. 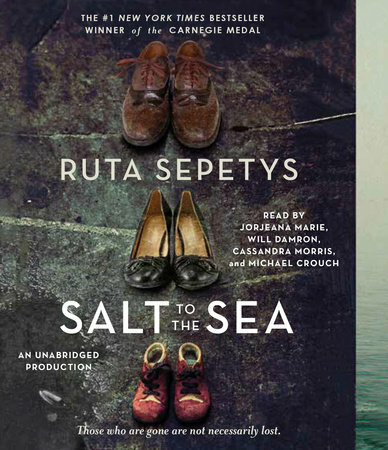 Salt to the Sea is a 2016 historical fiction young adult novel by Ruta Sepetys. In 1945, World War II is drawing to a close in East Prussia and thousands of refugees are on a desperate trek toward freedom, almost all of them with something to hide. Among them are Joana, Emilia, and Florian, whose paths converge en route to the ship that promises salvation, the Wilhelm Gustloff. Forced by circumstance to unite, the three find their strength, courage, and trust in each other tested with each step closer toward safety. Just when it seems freedom is within their grasp, tragedy strikes. Not country, nor culture, nor status matter as all ten thousand people aboard must fight for the same thing: survival.Salt to the Sea is a #1 New York Times Best Seller, an International Bestseller, and winner of the 2017 CILIP Carnegie Medal. ← Orinda Library Bookshop: Volunteers Wanted!